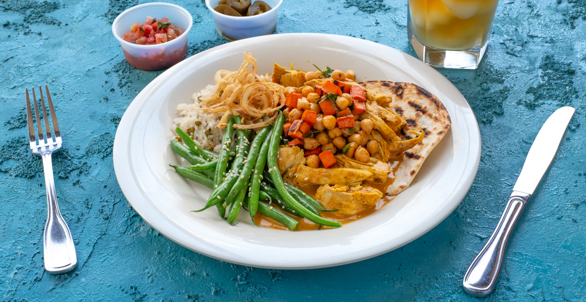 Coconut Curry Free Range Chicken, Our New Weekly Special Begins Wednesday! Our New Weekly Specials Start Wednesday. With chili lime corn, tortilla strips and sour cream.